One of the world's most beloved quirky animals could soon get a whole lot safer. 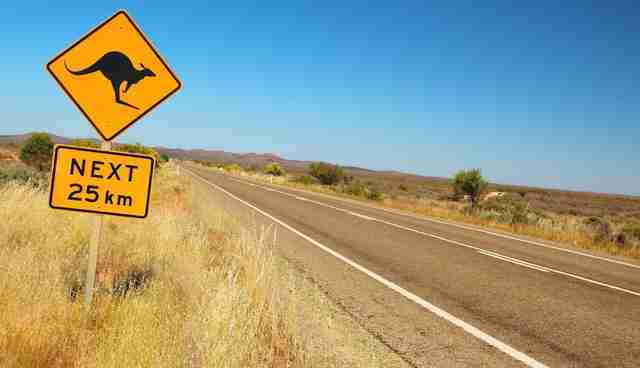 Volvo is testing a new technology designed to prevent kangaroo-car collisions, which kill an estimated 20,000 kangaroos each year on roads down under. Some cars are already outfitted with sensors to detect other kinds of animals. Volvo has already tested the technology for reindeer, moose and cows in Sweden - to make people and animals a bit safer while traveling. A radar sensor in the grille of the car, paired with an advanced camera in the windscreen, scans the road ahead to detect animals, as well as other obstructions like other cars, bicyclists and pedestrians. The radar and camera help the computer system to decide whether it should trigger the brakes. According to Volvo, when something is detected, it takes 0.05 seconds for the computer system to react, compared with the human reaction time of about 1.2 seconds. 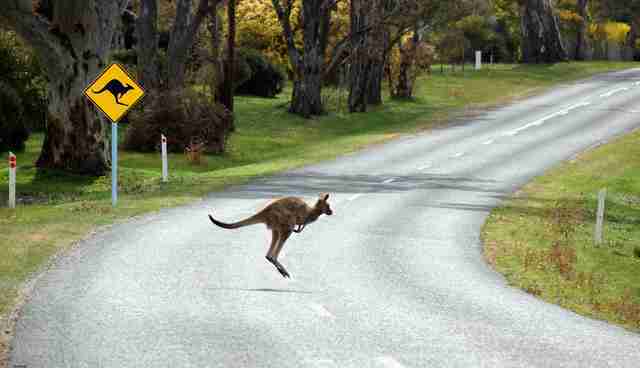 But kangaroos are an especially difficult animal to sense, because of their unusual movements. This is why Volvo is trying to tailor the advanced technology to trickier situations. "The Volvo Cars City Safety technology is a true state-of-the-art technology, because the brakes can be primed in milliseconds - much faster than a human reacts," Senior Safety Engineer at Volvo Cars Martin Magnusson said in a press release. "We are only at the beginning of what is possible." With unimaginable numbers of animals killed on the roads all across the world every day, wildlife needs all the help it can get.